Earn $3.99 in Podium Club credit (399 points)What's This? 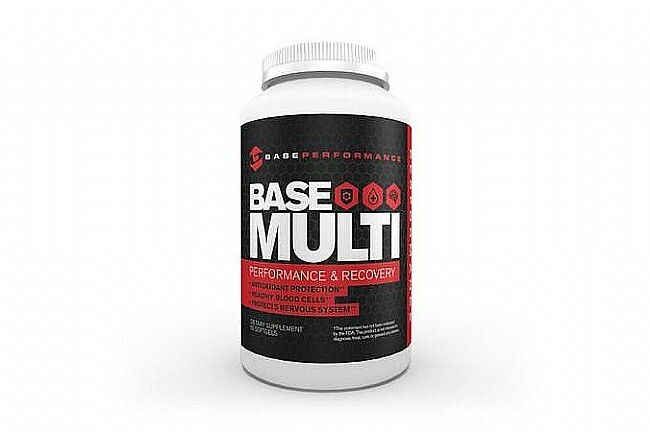 BASE Performance’s BASE Multi (90 Tablets) are twice-a-day multivitamins that contain essential vitamins, minerals, a proprietary antioxidant-rich phytonutrient blend, and trace elements for a healthy nervous system and blood cells, sustained physical and mental energy, and hormonal balance, among many other health benefits. Its ingredients are carefully selected based on absorbability, relationship with other ingredients, allergy potential, and long-term health. Minerals and trace elements are provided in their safest, most biologically active and absorbable forms. One of BASE Multi’s health-essential ingredients is Metafolin®, a patented, natural form of (6S) 5-methyltetrahydrofolate (5- MTHF) and predominant form of folate that is crucial for overall health. 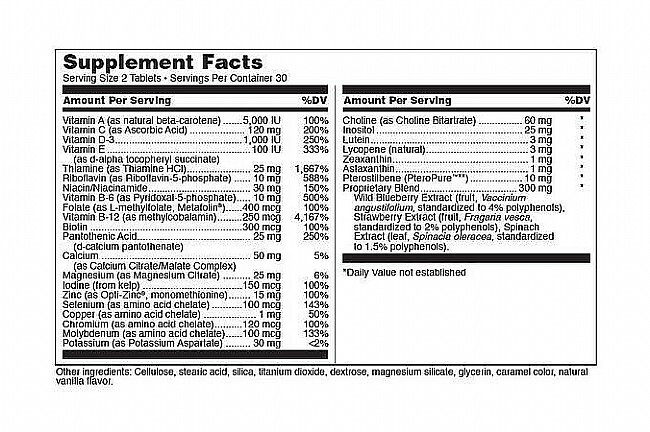 Unlike synthetic folic acid, L-methylfolate can be used directly by the body without requiring additional conversion. Vital phytonutrients in a proprietary blend of wild blueberry, strawberry, and spinach extracts protect against free radical damage by supplying active polyphenols. Lutein, lycopene, zeaxanthin, and astaxanthin are carotenoid antioxidants that support ocular health. Astanxanthin, a carotenoid sourced from algae, reportedly provides cardiovascular, immune, and inflammatory support. Pterostilbene, a methylated form of resveratrol, is a potent antioxidant that has been studied for its positive impact on cognition, blood sugar, and the cardiovascular system. Recommended daily serving: 2 tablets.